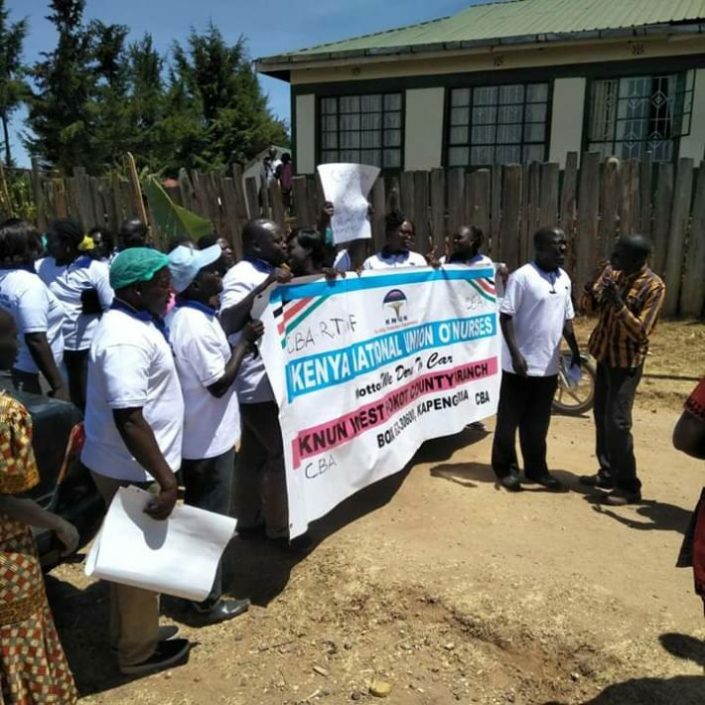 West Pokot nurses held peaceful demonstrations demanding the County Government to honor the return to work formula of the collective Bargaining agreement (CBA). The nurses who marched on the streets of Kapenguria carrying placards and twigs vowed not to resume duty till the agreement is honored. 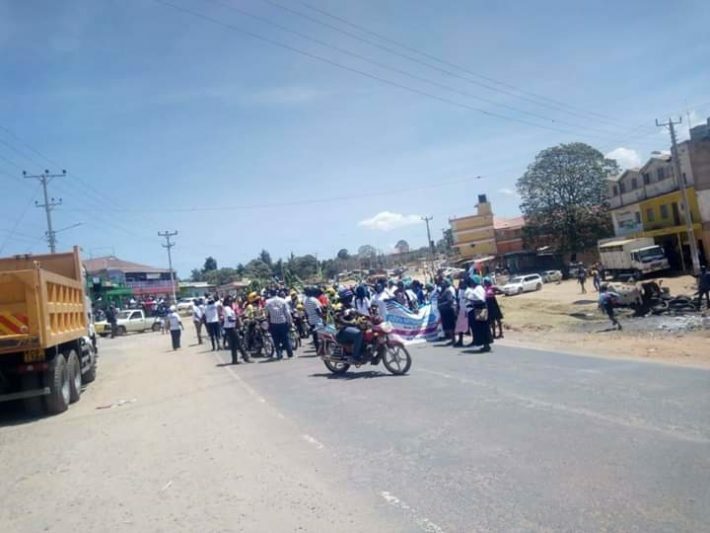 This comes after the West Pokot County Government issued new terms and conditions for all nurses in the County on contract to re-apply for their positions to County Public Services Board through the Department after they declared not to resume duty till the stalemate is solved. All nurses who received their Permanent and Pensionable letters last week have their letters revoked. Anyone who will not re-apply by 4pm Tuesday will be deemed to have forfeited her or his employment. There will be a head count for all nurses on permanent and pensionable terms on Tuesday. Led by the County Nurses Secretary Mr. Simon Konoch, they said that area Governor John Lonyangapuo has been misadvised. Konoch said that nurses have not been served with official orders to reapply for the job.